This hotel is a 4 minute drive from downtown Pawcatuck, Connecticut and Elm Ridge Golf Course. It features an indoor pool, and spacious rooms with free Wi-Fi and refrigerator. A microwave and coffee maker are standard in every modern room at the La Quinta Inn and Suites Stonington. All rooms include a cable TV and are decorated with dark wood furnishings. A daily buffet breakfast is served at the Stonington La Quinta Inn. It includes hot and cold dishes, such as waffles, cereal and juice. Free access to the gym and business center is provided to all guests of the La Quinta Inn. Parking is also free on site. MGM Grand Casino at Foxwoods is a 13 minute drive from the hotel. Mystic Aquarium is 7.5 miles away. 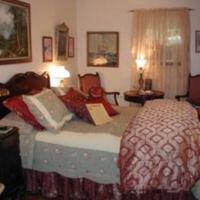 Enjoy a large selection of classic era movies, music, and memorabilia that is offered at The Morgan Inn B&B. The Mystic Aquarium & Institute for Exploration is 6 miles away. Located 8 miles from the historic Mystic Seaport, this Connecticut bed and breakfast boasts uniquely styled guestrooms with an en suite bathroom. Each room features cable TV and free Wi-Fi access. They are individually decorated with antique furnishings, floral patterns, and soft colours. Select rooms open to a shared patio. Breakfast is served every morning in the dining room, and includes eggs, waffles, and pancakes. Guests can enjoy the garden views from the terrace. Misquamicut Beach is 5 miles from The Morgan Inn Bed and Breakfast. Foxwoods Casino is 11 miles away.